US President Barack Obama has advised the UK against voting to leave the European Union (EU), for both security and economic reasons. In a recent visit to Europe, Obama told a press conference in London that he felt the need to address speculation on how the US would react in the event of the so-called Brexit: “I think it is fair to say that at some point down the line there would be a UK-US trade agreement, but it’s not going to happen anytime soon, because our focus is on negotiating with a big block, the European Union, to get the trade agreement done. The UK is going to be at the back of the queue,” he said. The president was referring to the Transatlantic Trade and Investment Partnership (TTIP), a deal aiming to bring down trade and investment barriers between the US and the EU. 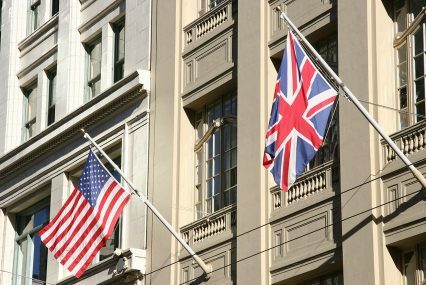 In the case of Brexit, the UK and the US would keep their trade restrictions until a bilateral deal was agreed. Obama told the BBC in a follow-up interview that this could take between five and 10 years to negotiate. Obama’s considerations came at the end of a week that also saw a group of 200 founders and CEOs of some of the UK’s most successful businesses, from early-stage start-ups to household names, signing a letter supporting EU membership. “The EU isn’t perfect; but rather than cutting ourselves off from the opportunities it offers, it is better to be on the inside, helping shape the rules of this market instead of just being subject to them. The economic shock of a vote to leave the EU would also be hugely damaging to our businesses. Leaving could lead to lost investment, missed opportunities and lost jobs,” the letter reads. The effect Brexit would have on GDP is central to the arguments of those who support EU membership. The Treasury released an economic analysis of Brexit scenarios, which predicts that, in the best case, Britain would be economically worse off in 15 years, and overall GDP would be lower by 6.2%. The OECD published a report comparing Brexit to a tax on GDP, affecting foreign direct investment and labour productivity, already an issue in the country. “The ‘Brexit tax’ would be a pure deadweight loss, a cost incurred with no economic benefit,” said OECD secretary general Angel Gurría presenting the study in London. According to the OECD central scenario, Brexit would cause GDP to shrink by 3% by 2020, equivalent to a cost per household of £2,200 (in today’s prices). The negative effect would be felt over time, with GDP 5% lower in 2030. The impact would be even larger in a more pessimistic scenario and remain negative even in the optimistic scenario. Other European economies would also feel negative effects due to the uncertainty Brexit would create for the future of the Union. The OECD predicts that continued UK membership in the EU and further reforms of the single market would instead enhance living standards on both sides of the Channel. The uncertainty around the outcome has already produced negative effects, with the IMF recently lowering its growth forecast for the UK from 2.2% to 1.9%. According to international payment company World First’s inaugural quarterly Global Trade Barometer, 24% of the 730 SMEs surveyed felt the negative impact of exchange rate fluctuations in Q1 2016, when the pound Sterling fell by 7% against the euro and 2% against the dollar. The report found SMEs reluctant to commit to long-term currency contracts, with a total of £35.6bn in international payments potentially exposed to currency swings. Despite mounting national and international concern over the referendum, Brexit advocates were particularly vocal in addressing Obama’s remarks, expressing disagreement with the US president in more or less colourful ways. Outgoing London mayor Boris Johnson, writing in the British tabloid The Sun, gave a nod to a theory that “the part-Kenyan President” holds an “ancestral dislike of the British empire”. He previously accused the US of hypocrisy over its Brexit position, saying it was “absolutely bizarre” to be “lectured by the Americans about giving up our sovereignty”. Speaking at the Swift Business Forum, chairman of the Conservative economic affairs committee John Redwood went as far as to mention the American rebellion against the British Empire as an example of success in leaving a big block for an unknown future – a reference to American history that failed to take into account the civil war subsequently fought to protect the integrity of the United States of America against the breakaway Confederates.